Storyboards are tools used in crafting the user experience. They allow UX practitioners to image what different sorts of users might do while visiting a website. They're a way to anticipate problems in a site design before (or in the absence of) actual user testing. 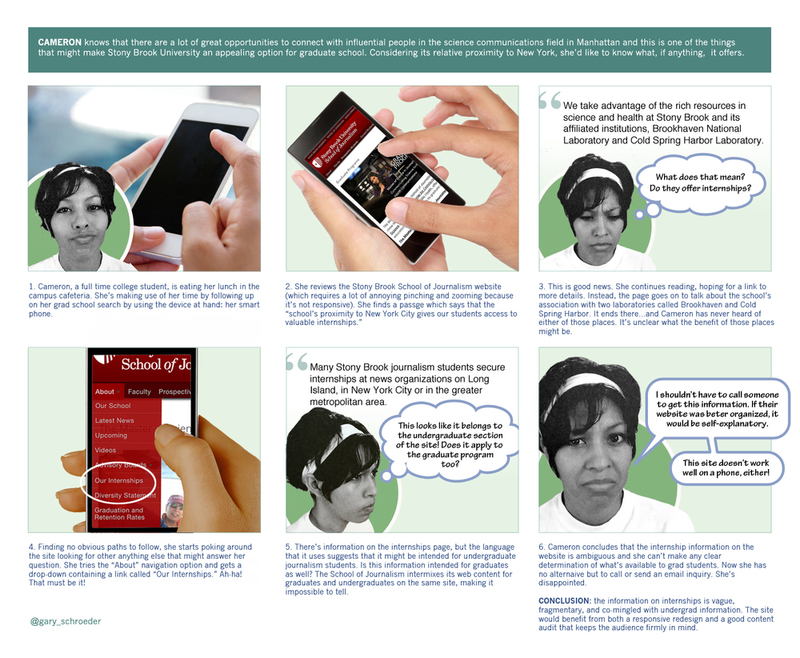 Here are a few storyboards I assembled for a project to overhaul a university website designed to entice student applicants.